XOLAIR treatment is an injectable prescription medicine that is given by your allergist to treat your allergic asthma. It is used to treat moderate to severe allergic asthma in patients 6 years of age or older. However, it is not used to treat other allergic conditions. Your XOLAIR dose will be chosen based on your body weight and the results of your blood test. You will receive around 1-2 injections of XOLAIR every 2-4 weeks, depending on your allergist. If your body weight does not change dramatically throughout the duration of your treatment, the dose and the injection schedule will likely remain consistent. 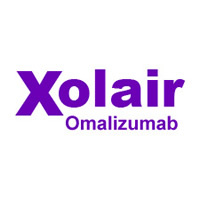 XOLAIR should only be used with the discretion of your allergist because the use of Xolair may cause a severe allergic reaction or anaphylaxis. The reaction may not immediately occur right after the first dose of the medicine and may happen days after your first shot. You will be closely monitored once you receive your Xolair treatment to ensure that you are not allergic to the medicine. It is also important to tell your allergist if you have any current medical conditions or illnesses. This medicine should only be injected by your healthcare provider and should be administered in a clinic or a healthcare setting. Contact your allergy and asthma doctor in College Station, TX if symptoms persist and worsens.